The challenge of writing an academic essay for non-native speakers is always an overwhelming task especially if you do not possess a good command of the English language. Anyway, as you proceed with your studies, this outline of basic principles and tips will help you succeed in writing a quality academic essay. A good English essay must be logical and consistent. Start with a powerful, catchy thesis and reveal your story step by step, guiding a reader along your arguments to the conclusion. Introduction paragraph (approximately 5-7 short sentences) should begin with a strong thesis statement. Think over your topic and try to come up with an attention-grabbing assertion, which would work as a trigger for your reader's mind. You may agree or disagree with the point given in essay topic, you may object or support someone's saying etc. Your task is to make your way of elaborating the essay clear for the reader. 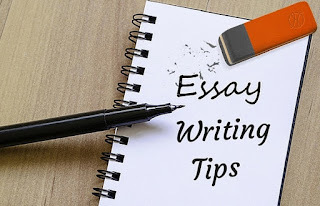 You may also include some additional information regarding the subject of your essay to give your readers some background of the stated problem. Body paragraphs (usually 3; 5-9 sentences each). In this part, present the proof for your opinion or facts to back up your thesis argument. In a light and persuasive manner, you should explain to your readers the credibility of your ideas. The golden rule of convincing writing – put the strongest arguments in the beginning and at the end of the paragraph (where are the points of reader's attention). Conclusion paragraph should be brief, coherent and contain the total sum of all the main ideas mentioned throughout your essay. Use such phrases as “To conclude,...”, “To sum up,...”, “In conclusion,...”, “Finally,...”, “In a nutshell,...”. The main pitfall of many ESL students is their active vocabulary. You should remember that English essay is not only a task to explain your opinion or show what kind of person you are, but also a way to demonstrate your skills of writing in foreign (English) language. Prepare beforehand some interesting collocations from C1-C2 level to insert in your essay (phrases like “It is a contentious/controversial/disputable issue”, “This question bears tremendous importance”, “A sensible resolution of this problem/issue/task”, “To rise to a challenge”, “This is an incontrovertible proof” etc). Such expressions will fit almost any topic you might be given and be a good example of advanced language knowledge. Also, do not forget to use “fillers” for textual cohesiveness to link sentences. You may refer to such cliches as “In addition,”, “Moreover,”, “On the one hand,”, “On the other hand,”, “Consequently,”, “As a result,”, “Therefore,”, “Despite”, “In spite of”, “Anyway,”, “To conclude”, “In conclusion,”, “To make a long story short,” etc. Use strong verbs! (BUT! Use them in an appropriate context). For example, you may replace a verb “to start” with “to initiate, commence, launch, embark, trigger”; “to think” with “to reckon, suppose, consider, regard” and “to finish” with “to complete, terminate, accomplish, finalize”. Avoid such simple words as “good, bad, some, say, really, as, a lot, sort of, just, like”. Come up with substitutions for them. Revise verbs which are followed either by infinitive or gerund! Check all the unknown and “suspicious” words with the dictionary – in the essay, you should avoid using words, meanings of which you doubt. Read more English sources to get to know how words combine and act in the sentences. Your essay must be clear, comprehensible and show your real skills in English writing. Pay attention to the grammar. Use online applications and grammar check services to proofread your writing and correct grammar and spelling mistakes. If you made a grammatical mistake, revise the rule and learn what you wrote wrong. Read academic articles, thus, you will enrich your vocabulary. Also, you will get more facts and information about general subjects. This way you become more knowledgeable about things, new strategies of anything etc. Read topic-related essays on the Internet, analyze them, make some corrections if necessary. Be critical. Do the same with your own essay. When you complete your writing, re-read it and find ways to improve it, correct spelling and syntactic mistakes. Practice makes perfect! Improvisation is good, but it also might cost you pretty much if failed. Don't rely on your spontaneous thinking, practice writing essays on diverse topics at home. Try to connect your writing practice with some common topics such as governmental policies, environment protection, relationship, healthcare system, education, tourism, money, art, technology. This way, you will come up with your personal point of view and ideas that you could use later at college. Also, since essay writing task is usually limited of time, having prepared ideas will allow you focus on writing itself rather than trying to cope writer's block at class. Essay writing services are thus meant for those individuals who require essay writing assistance. Expert services guarantee satisfactory work at all times. An individual in need should follow the simple steps in placing an order for essay writing services. If you are looking to have a perfect thesis written for you then find ideas here. We have team of experts who are working to fulfill your thesis needs as per the academic standards. Because of this it's important to develop a pleasing and readable writing voice. This article shows you how to do this. Writing is governed by set of rules. Inaccurate grammar and punctuations destroy the credibility of the essay even if it is brilliantly conceptualized. Speech/Essay 14 August. There were disputes and lot of quarrels between Muslims and Hindus before partitioning. They always use to fight for their religion, their customs and for their events. totally different nations was trying to live together that was impossible. no one was independent so to celebrate freely.